Over the past week, the issue of cheating and sportsmanship has been squarely in the headlines. While the admission of diving by Luis Suarez and doping by Lance Armstrong have fallen into the category of cheating, the emergence of a video of the end of a cross country race, featuring a number of the biggest names in the sport has shown the opposite end of the spectrum. The race in question was the cross-country race in Burlada, a small town on the outskirts of Pamplona in northern Spain. A strong field had lined up for the race, including the Olympic 3000m steeplechase bronze medallist, Abel Mutai, Eliseo Martin, the former world bronze medallist in the 3000m steeplechase and Ivan Fernandez Anaya, a former Spanish youth champion at 5000m. A group of eight leading contenders were together until two laps from the end. At this point, the Olympic bronze medallist, Abel Mutai, stepped up the pace. Nobody was able to go with him, but two Spaniards, David Solis and Ivan Fernandez Anaya, were able to peg the gap. Fernandez Anaya then stepped up the pace, and caught Mutai, although Solis was dropped from the group. 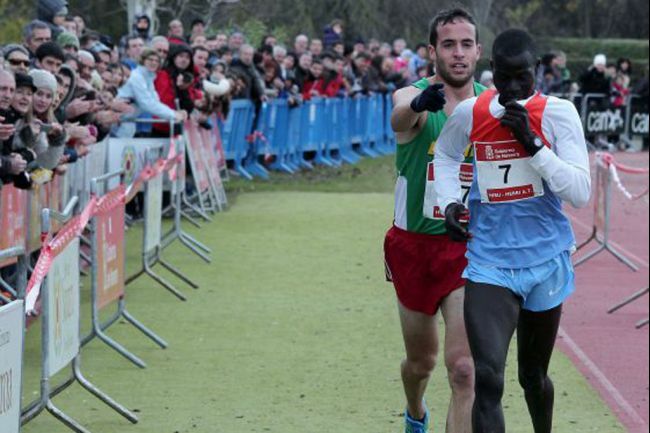 With around 250m remaining, Mutai pulled a few metres clear again. This time, Fernandez Anaya was not able to close the gap. However, the crux of the story comes in the final 10m. Mutai, thinking that he had already passed the finish line, slowed right down and began to greet the crowd. However, his coach did not seem to approve of the gesture, saying “he has wasted an occasion. Winning always makes you more of an athlete. You have to go out to win.” Despite this, the gesture has won him a new legion of fans, particularly in a week when cheating and negative sportsmanship has been such a prominent part of the news.